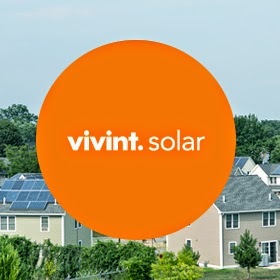 Vivint Solar Inc (NYSE:VSLR) will release its fourth-quarter earnings on March 4, when analysts are expecting VSLR to report a decrease in revenue and a loss on earnings. VSLR is a newly public residential solar energy systems provider. Shares first became available on Oct. 4 at an opening price of $16, but immediately began falling. Within two weeks, VSLR stock traded for just above $10, and within two months prices were below $8.50 per share, where they currently sit now. Will the Vivint Solar earnings do anything to reverse that slide? Don’t count on it. Last November, Vivint Solar released abysmal third-quarter earnings, reporting revenue of $8.3 million alongside operating expenses of $66.7 million for a total operating loss of $58.4 million. All three figures were up from the year-ago period, but revenue growth at 266% flagged the surge in operating expenses (325%) and loss from operations at (333%). The result was a GAAP loss per share of 45 cents and a non-GAAP loss per share of 66 cents. VSLR stock declined 22.5% following the announcement, and shares continued to drop until bottoming out near $8 in mid-December. Since then, Vivint Solar has essentially remained flat as management has done little to repair damaged investor confidence. At the conclusion of the Q3 earnings report, VSLR provided limited guidance for Q4; management guided for total revenue between $5.5 million-$6.5 million and total operating expenses between $47 million-$51 million. Fourth-quarter revenue is expected to be down quarter-over-quarter due to weather-related delays impacting installation jobs. The analyst consensus regarding Vivint Solar earnings is $6 million total revenue, a loss of 37 cents per share for the quarter and a loss of 81 cents for the full year. Looking forward, the consensus for next year’s earnings is a loss of $2.56 per share. However, it’s interesting to note that the average short-term target price is $17 per share. For a company that has tanked nearly 50% in the five months since its IPO, and whose management has already guided for even less revenue than last quarter, what would it take for Vivint Solar to jump to $17? Unless VSLR management devises an outstandingly successful plan for increasing revenue and reducing expenses, it’s unlikely Vivint Solar stock will touch $17 any time soon. Also, considering competition in the residential and business-to-business solar arena, particularly from industry leader SolarCity Corp (NASDAQ:SCTY), Vivint Solar has a challenging road ahead. How Bright is the Future for VSLR? Since the VSLR IPO on Oct. 1, shares are down 49.28% to $8.13. Over the same five-month period, SCTY shares are only down 11% to $50.26. With a market cap of $4.9 billion, SolarCity dwarfs Vivint Solar’s $857 million market cap. However, in an interview with CNBC, Vivint Solar CEO Greg Butterfield stated that he does not view SCTY as a competitor, but instead views traditional utility companies as VSLR’s primary competition. Further, Butterfield went on to explain that, while SCTY is No. 1 in market share in California, VSLR is No. 2, but on the east coast in New York, New Jersey, and Massachussets, Vivint Solar is on top. Seasonality in the northeastern part of the country should not have a significant impact on revenue and new sales figures, according to Butterfield, and in fact the company’s Q4 guidance was intentionally on the conservative side. He also added that VSLR is the country’s second-largest solar company with a 15% market share, and he fully expects this figure to increase due to the market being significantly underpenetrated. However, with the recent influx of $300 million to SCTY, compliments of tech behemoth Google Inc (NASDAQ:GOOGL, NASDAQ:GOOG), to help finance 25,000 new residential solar installations, Vivint Solar is likely to find itself struggling against the Goliath that is SolarCity, especially now that GOOG is on board. Additionally, VSLR has made some rather dramatic changes to its product lineup, scrapping the popular SunEye line, and has engaged in active recruitment of new employees to facilitate further expansion into northern California. Despite Butterfield declaring that SCTY is not his competitor, it will be interesting to see how things play out over the next year, as VSLR attempts to expand into SCTY’s home turf. VSLR has a number of potential long-term revenue streams in the form of leases and service contracts to residential homeowners, so the focus will be on maximizing return and boosting sales. Expect Vivint Solar earnings to be comfortably within the analyst consensus and management’s guidance. More importantly than VSLR’s Q4 losses will be guidance for 2015 and beyond.